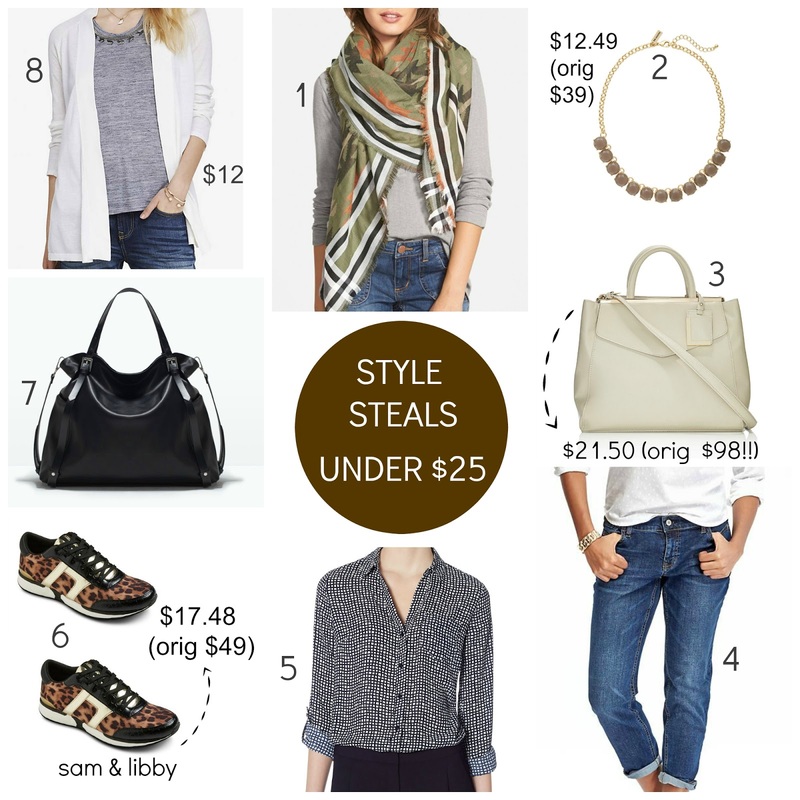 Tracy's Notebook of Style: Style Steals under $25 + 11 Sales to Shop! Express Extra 40% off sale - no code needed. Nordstrom Anniversary Sale continues with new pre-fall items, prices go up Aug 3! The Limited Extra 50% - 60% off clearance - no code needed. Hi Tracy great advice, I'm not buying anything right now, unless I think it will go forward into Autumn/Winter! Love your style steals, that scarf and those sneakers have my name written all over them! Love the scarf and satchel that you picked! And thanks for the heads up on the sales- I can't wait to check them out! The scarf is so nice and perfect for to wear into fall, happy shopping!